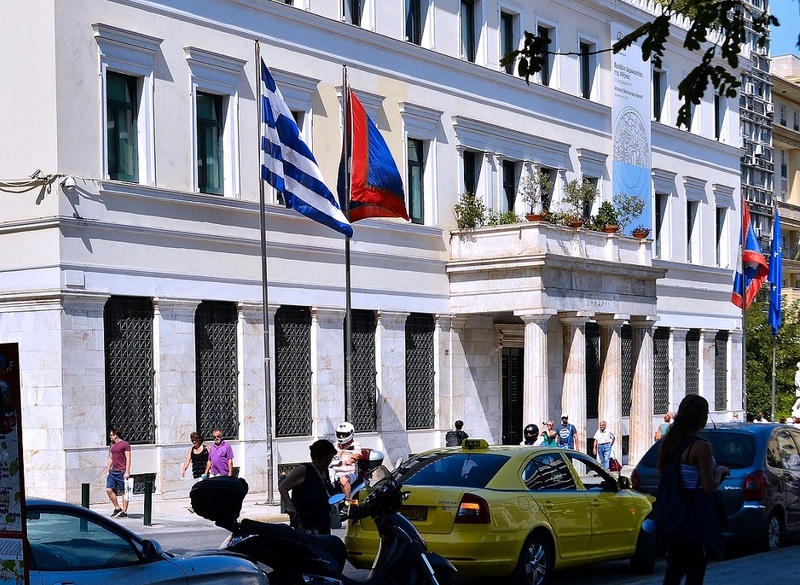 Aiming to decongest the city center and improve the overall city experience for residents and visitors, the Athens Municipality announced this week that it would be installing a smart parking system. Budgeted at 497,950 euros, the project will be implemented by the municipality’s IT and redevelopment agency DAEM together with ΟΤΕ – ONEX SA and is set to be completed in six months once the contract is signed. 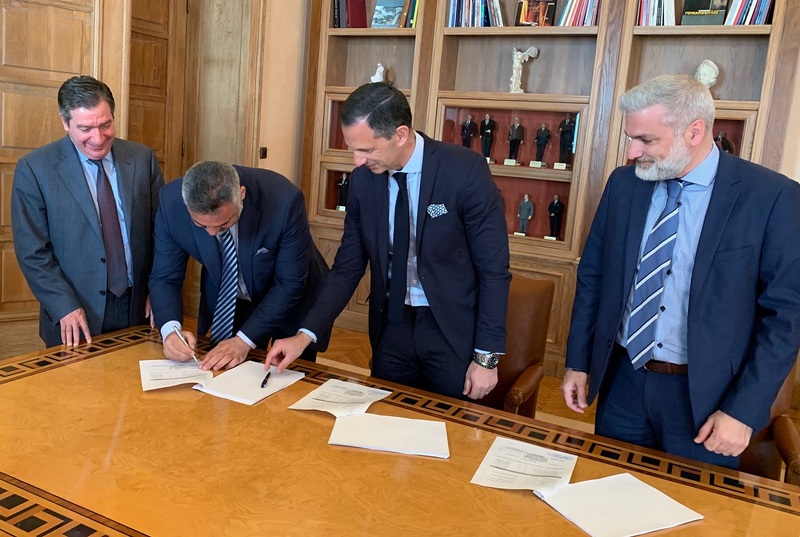 Athens Mayor Giorgos Kaminis (left), DAEM and ΟΤΕ – ONEX SA executives sign the agreement for the smart parking project. Set to start in its first phase from the areas of Evangelismos and Kolonaki, the system includes the installation along central Athens streets of 1,000 smart parking sensors, which will inform drivers of free parking spaces through mobile applications on iOS and Android. Drivers will then pay for the parking time by the existing myAthensPass mobile application. In addition to the smart parking system, a unified Intelligent City Platform will be installed allowing the municipality to manage the sensors through a central City Command dashboard and the municipal police to monitor legality and payment. “This is the largest intelligent parking project in Greece, and one of the largest in Europe,” said Athens Mayor Giorgos Kaminis. “Athens is a pioneer in the digital city transformation investing in large-scale projects,” he added.